We are a group of community members committed to making positive changes in our local community, join us and make a difference! Why do we need Street Buddies? 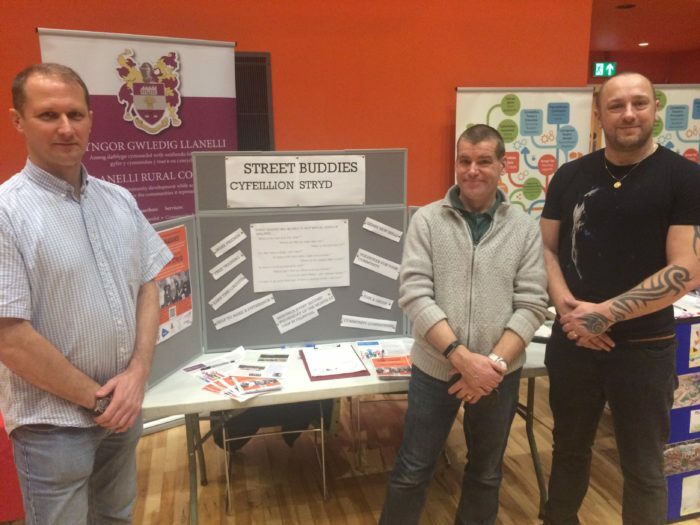 Interested in becoming a Street Buddy, but what is in it for you? For a broader understanding, click here to view the Role Description and/or contact Darren Rees on 01554 774103 or [email protected] To register your interest complete the form online here. 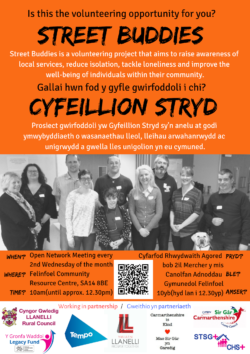 The Street Buddies Network meet once a month on the second Wednesday of the month at 10am at Felinfoel Community Resource Centre. These meetings are open to all and are an excellent opportunity to learn about what is on offer from various services in your community. If you would like to promote your own organisation, please get in touch (details above). Turn Up. Take Part. Join the Network. Time Credits are offered to all volunteers that attend the Network meetings. The next Street Buddy Network meeting takes place on Wednesday 10th April at 10am. Venue: Felinfoel Community Resource Centre, Felinfoel Recreation Ground, off Ynyswen Road, Felinfoel, Llanelli, SA14 8BE. Carmarthenshire is Kind is aiming to promote kindness within local communities in Carmarthenshire. In particular it aims to help support and intervene with those individuals who are lonely and socially isolated. It also aims to create more local community provision based on the needs of the community.